Why I Loved It: This marked the first Survivor album without lead singer David Bickler, their original vocalist who made Eye of the Tiger one of the 80’s biggest hits. Vital Signs was Jimi Jamison’s debut and his vocals keyed three decent-sized hits. 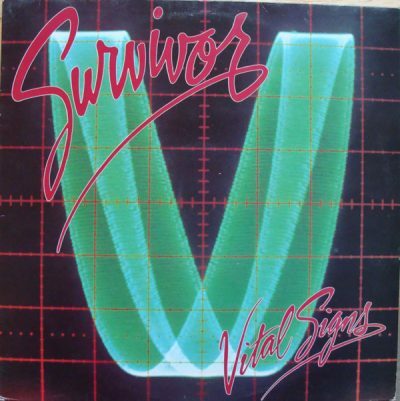 While “Eye of the Tiger”and “Burning Heart” (from Rocky IV) were my two favorite singles but neither on this album, I selected Vital Signs because it contained three-fifths of the Survivor catalog I enjoyed most. To be perfectly honest I didn’t initially know the group had switched lead singers—at least to me Bickler and Jamison sounded close enough alike. This album was 80s adult-oriented rock at its mid-80s cheesiest finest, right down to one of the quintessential power ballads of the decade for my money with “The Search is Over”, which came in at No. 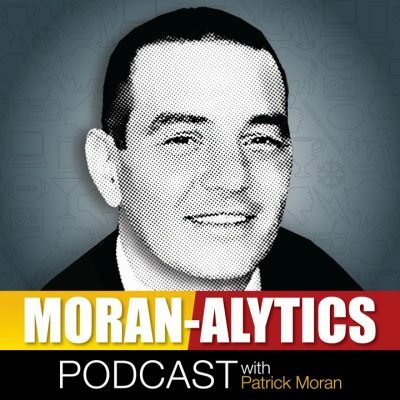 71 on the Moran-Alytics Favorite 100 Songs of the 80’s countdown I compiled earlier this year. The song was penned for a buddy who was BFF’s with a girl without ever realizing she was the love of his life, because he never thought they’d be more than friends. If you’re to believe all the lyrics, apparently they became more than friends…. Yay! Commercial Success: It didn’t quite pack the commercial punch their Eye of the Tiger album packed two efforts prior, but Survivor’s Vital Signs, their fifth studio album did reasonably well for itself on the charts. Vital Signs peaked at No. 16 on the Billboard Top 200 and produced three hit singles. “The Search is Over’ was the most successful, peaking at four on the Billboard Hot 100. “High On You” reached eight on the Billboard Hot 100 and “I Can’t Hold Back” made it to No. 13 before stalling. “First Night” charted at No. 63 but I’d be lying if I said I recall ever hearing it. Fun Facts: Courtesy of the amazing website Songfacts.com, here’s a few fun facts about Survivor, even if not having anything specifically to do with this album—sue me. “Rights to the “Survivor” name took a long time to sort out. When they formed, none of the founders could trademark the name because there was another Chicago band called The Survivors. The band split up in 1989, but in 1992 Jamison (not an original member) assembled a new group and began touring as Survivor. When Peterik and Sullivan found out, they got their version of Survivor back together and hit the road in an attempt to protect their legacy. Peterik left in 1996, but various lineups led by Sullivan toured until 2014. Sullivan eventually won ownership of the Survivor name.